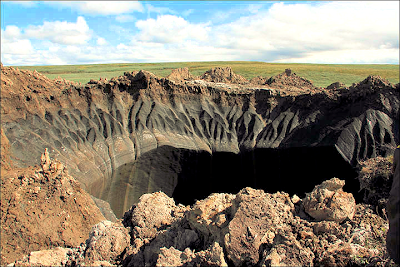 They found the crater - around up to 70 metres deep - has an icy lake at its bottom, and water is cascading down its eroding permafrost walls. . . .
"Huge Object Blasted 6 Miles into Seabed 35 Million Years Ago"